Nigel Morris (left) and Michael Nederlof. DUBAI — "Welcome to Media City," sighs Michael Nederlof with a look that strongly suggests this question is one he’s heard one too many times before. That would be whether or not he is quitting as chief executive of Dentsu Aegis Network for the Middle East and North Africa, as suggested by the Dubai Media City rumor mill. Turns out he’s not. "It has been gossip for the last six years," he says. "Ever since we arrived. I’m new, I’m a disruptor and they don’t have to like me. It’s a very traditional Lebanese industry, with all the positives of that industry, but they are a closed community and we came in and set the business up to be different — and that’s our slogan, not to be the biggest, but different and better — and then a strange Dutch guy leading it. Then we’re winning and scaling the business, so they are going to be pretty nervous." There’s a slight pause and then suddenly he laughs: "Actually I don’t mind; I’ll take it as a compliment." It’s Friday afternoon at the Conrad on Sheikh Zayed Road, and hotel staff are sweeping away the remnants of what seems to have been quite the party. Nederlof and Nigel Morris, chief executive for the Americas and EMEA region, are the last stragglers of what was in fact the group’s week-long annual conference, which saw 600-plus staff from the four corners of the globe gather in the Middle East for the first time. Not bad for a hub that was opened six years ago by a ‘strange Dutch guy’ with a team of just six — and the ill-fated Nokia as its biggest local client. Then part of the London-based Aegis Network, the MENA hub was largely riding off the back of its global clients, and was dependent on the flagship media planning and buying company Carat MENA for 95 per cent of its business. Less than a decade and a $5 billion-acquisition later, the now-600-strong Dentsu Aegis Network MENA is playing host to the global bigwigs, thanks to its ‘east-meets-west’ position and to some heavy lobbying from Nederlof himself. So what’s on the table now? No prizes for guessing, it all revolves around a word beginning with ‘D’. But it’s about more than just numbers on a screen. "It’s about winning in the digital economy," Morris says. "We want to be a 100% digital economy business by 2020. We have been growing twice as fast as the market, and we want to keep growing twice as fast as the market. We’ve pushed into the frontiers not just with virtual reality, but with augmented reality, sensor technology and the Internet of Things, and we are looking at which of these is going to be really important next year and in four. "So we have an array of content and creative agencies, but how does that fit together with media and digital? Philosophically, the more data-driven the world becomes, the more important human emotion becomes. At the end of the day we are humans and we either like something or we don’t. A whole series of ones and noughts does not get the pulse racing unless you’re a computer scientist from Stanford. Storytelling, creative content and great immersive experiences, and how they are driven by data, is going to get more and more important. And they are coming closer and closer together. The better I can target you, the more I know it’s you." 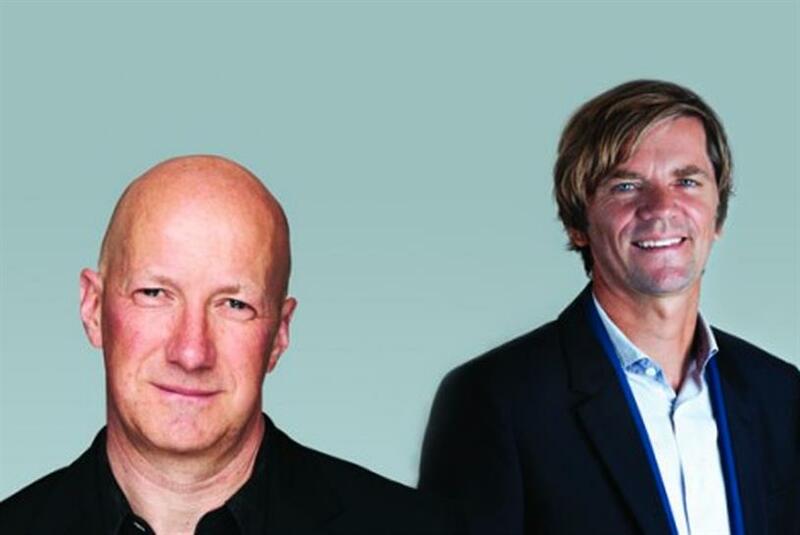 Currently much of Dentsu Aegis’ digital output comes from specialist agencies such as Isobar and iProspect, but the network’s recent acquisition of analytics agency Cardinal Path is strongly indicative of its current direction. And, as Nederlof suggests, more could be on the way in this region. "Here we have grown the business organically for the past five or six years on the back of all our network clients," he explains. "Now we have been winning more local clients as well. There’s now nine network brands or agencies within the group, and here in Dubai we have them all. Now we are looking at the bigger market to see if there are multiple agencies needed for capabilities. So maybe performances agencies or creative. Now we are looking at more acquisitions across the region, any that helps us in our overall strategy that helps us in our digital economy for 2020." Though globally Dentsu Aegis is still only the fifth-largest group out of the ‘Big Six,’ it is the second most active player on the merger scene, just one place behind acquisitions machine WPP. Last year it took over 26 new agencies, including the content publisher John Brown, a significant rise over the previous year when it acquired just 16. But, while CEO Martin Sorrell sums up WPP’s strategy as being about "horizontality" and "getting people to work together for the benefit of the client," for Morris the idea of "acquire and integrate" was built into the holding group almost from the start. He explains: "We took a decision in 2003, when the majority of our businesses were Carat-led, but had launched Isobar, Posterscope and Vizeum, that when we launch a business we would keep it as a local P&L. The management of the network will be the soft side of the matrix because what we wanted to make sure we could do was integrate and this was a very specific issue about digital. All of our competitors’ structure would have been when you launch a global business or network, that will become the P&L. Why we launched Isobar was that we wanted to scale digital massively at the start of 2003. We thought it was a huge opportunity because dotcom had crashed. So we charged into it, but what we didn’t want to do was launch a digital business separate from our original; we wanted to make sure both were modernising and have a foot in both camps." He adds: "WPP can have horizontality but at the end they are organised into global businesses. If you can explain the structure of Publicis to me… there’s Publics One, or whatever that is, going across the top. And why would you create a media, creative and digital business? Why would you do that? I can’t understand it. Omnicom are bringing their specialist businesses together, but they still have their creative networks. I think they are responding to the trends and in the way they feel best. Where we feel we have an advantage is that we feel we are naturally designed for that and we just have to work hard to have that global consistency." Nederlof chips in: "Of course with our colleagues in the industry, we know the creative rarely ever meet with the strategy level or with the other agencies in the group. Here, we see them every day and our targets lean into each other. It’s really easy for us to move staff from one agency to another and the client doesn’t even realise he is dealing with four agencies to be honest. I thought when we scale it would get more difficult, but to be honest it didn’t create any additional issues. "In the world of overlaps, there are no more traditional creative or media agencies," he adds. "When I came to this region six years ago, everyone was like ‘adspend, maybe five per cent is on digital’, and we don’t measure it, but I think our best guess is that it’s about 15%. And our group is already 50%. But we leapfrog; this region leapfrogs clearly. And that’s exciting. Our adspend in this region is the lowest in the world per capita. So there’s a long way to go. "Of course there’s uncertainty in the region and that’s why brands aren’t always going full flat on the marketing and communications investment. There are currency issues, logistics, war — there are reasons why brands underspend in this region when you compare with their global spending. But the MENA economy on average is growing faster than anywhere in the world and our adspend is growing, and with the young population, that helps a lot. We’re growing very fast and my biggest challenge is managing the growth of the group." If "leapfrogging" accurately describes Dentsu Aegis’ movements in the Middle East, then it is more than applicable to the group’s latest venture in Iran. While the country was still embedded in sanctions last year, the group literally ‘leapfrogged’ its rivals to establish the first international agency in Tehran. Deciding that working with ‘the same local partner’ as all the other agencies ‘wasn’t the right strategy for the future’, Nederlof decided to establish an exclusive deal with Tehran-based ICA to form Carat-ICA. "It wasn’t rocket science that the sanctions would be lifted," he explains. "So we set out to find a partner who would set up a business with us exclusively and have capabilities in the vicinity. This is a country with 80 million really well educated people. Women are part of society and business, so it’s a massive opportunity. It already has 40 people and has many international and local clients as well. We have multinationals now asking us not only about media, but about opening and scaling a business in Iran. They have all types of questions and that’s exactly what we want to do. We had a 12-month head start on the other groups." However, other holding groups are now hot on Dentsu Aegis’ heels, not least WPP, whose CEO enthused inCampaign’s last issue that Iran was the biggest new market to emerge since the fall of the Berlin Wall. But for now at least, Carat-ICA can sit securely as Nederlof says. "It’s one of our key markets. We are the only international group in the country, so when the phone rings, we are always picking it up." DDB Dubai: Where did it all go so right?